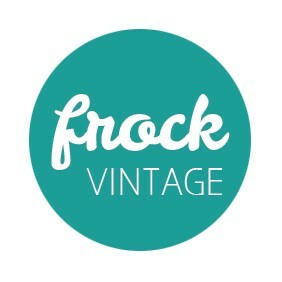 Sometimes you find a vintage or second hand item that has the best colours, pattern and some sweet features (hello collars!) but the style is just a little, well, frumpy. 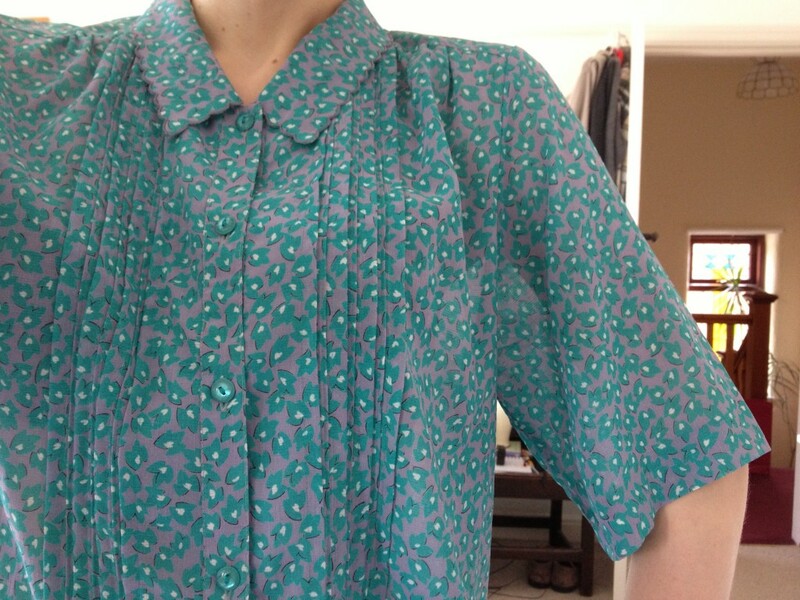 Recently I was lucky enough to hit the motherload of discounted Japanese vintage blouses. I love everything about this one, but the arms are too long and the whole thing just swamps me a bit. If you have a top or blouse that fits the bill, today I’m going to tell you how to give it a quick update – NO CUTTING or machine sewing involved. 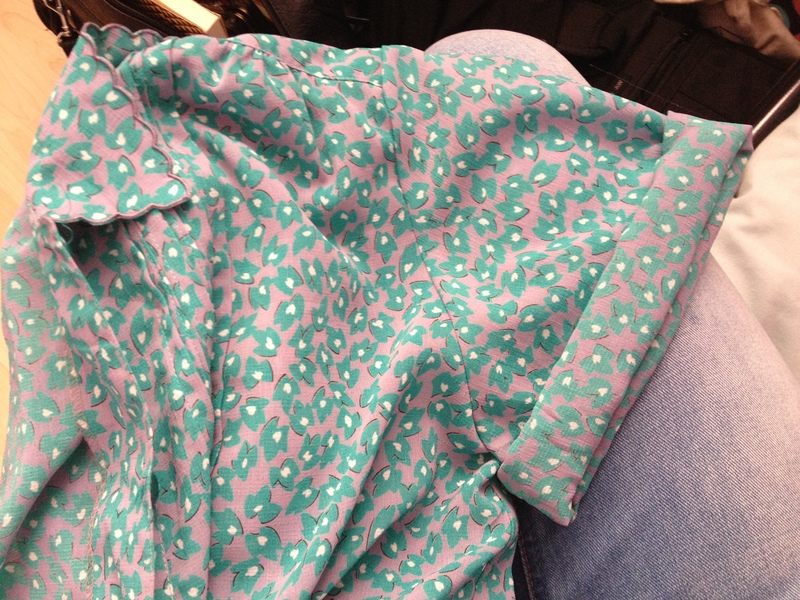 There’s just a little bit of hand sewing, so it’s totally reversible (good if you’re just borrowing it, hehe). For mid-length sleeves, the ultimate quick update you can do to give it a slightly more contemporary edge is roll the sleeves. For an even turn up, fold the hem back on itself on itself once, then as many times as necessary to achieve the length you want. It can help to get someone to do this for you whilst you’re wearing it, then pin to make sure you don’t forget. Now to get it to stay in place. Take a length of thread and tie a double knot in the end and thread your needle. Find a spot on the centre top of the sleeve where the back of the cuff meets the sleeve. 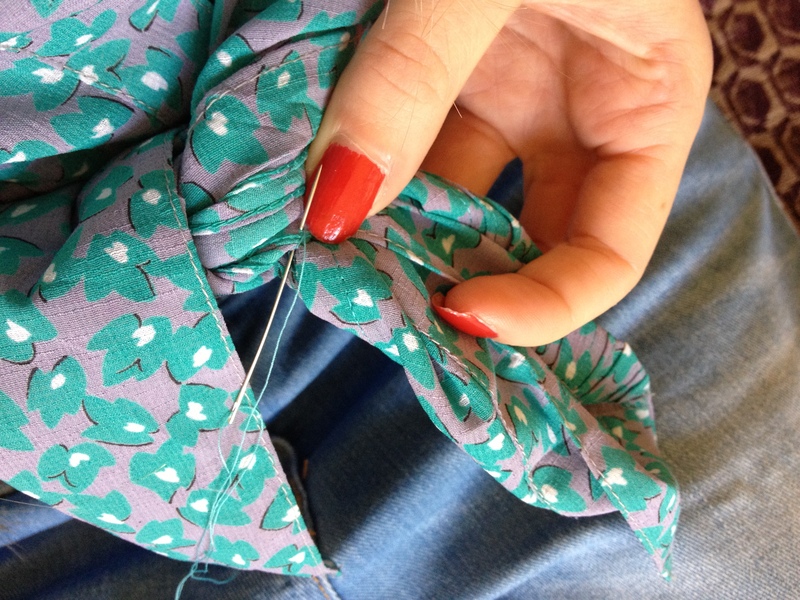 Sew from the inside of your sleeve out – so your knot is hidden – going through the top of the cuff and back down. It only needs to be a tiny stitch, so it’s barely noticeable. Repeat this 2-3 times. When the needle is threaded inside for the last time, tie off with a double knot. Repeat on the underside of your sleeve. Then repeat 1-4 on the other side. 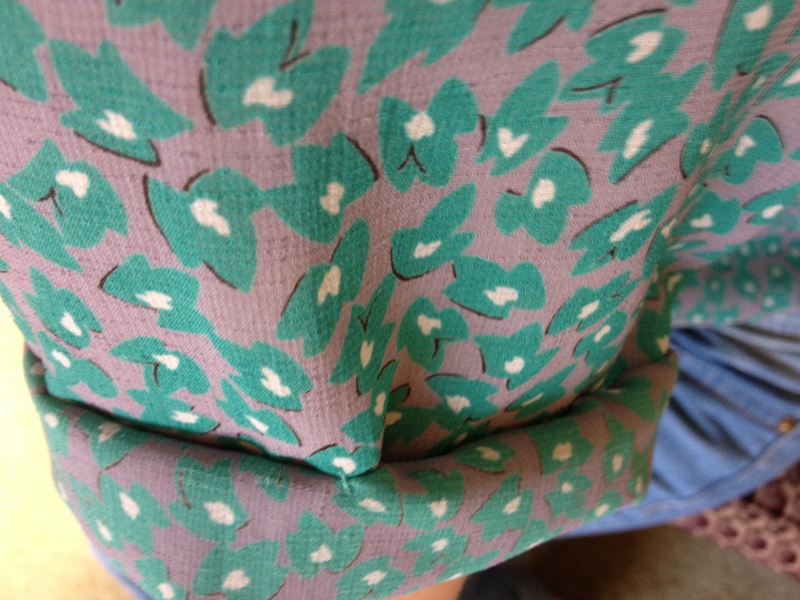 Finally, another nice touch for summer is to take your blouse in at the waist with a simple knot. If, like mine, your knot won’t stay in place, put in a few small stitches to hold it. Et voila! One fresh and funky (not frumpy) new blouse to stay cool in this summer. 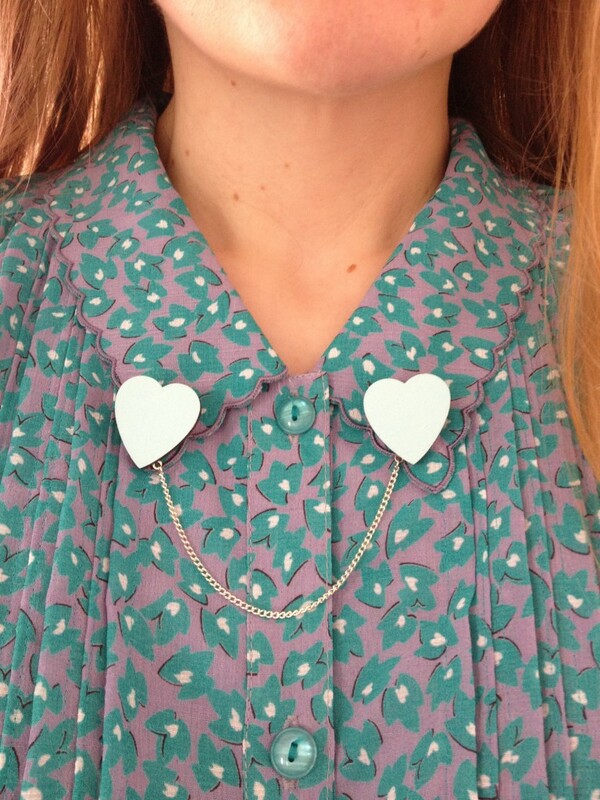 I must say, this one looks particularly lovely with my mint green Ladybird Likes heart collar clips. This entry was posted in DIY, fashion, vintage and tagged blouse, DIY, fashion, sewing, upcycle, vintage on July 13, 2014 by Lucy Meakin.